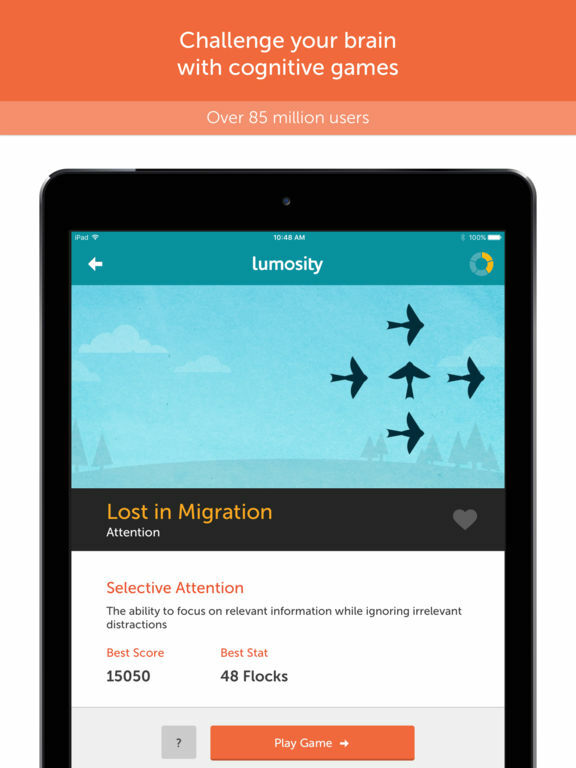 Your Lumosity Premium subscription will be charged through your iTunes account. At the end of the term, your subscription will automatically renew through your iTunes account. You will be charged for the regular price of your subscription within 24 hours prior to the end of the current term. You can turn off automatic renewal in your iTunes account settings, but you must do so at least 24 hours before the end of the current term. Refunds will not be provided for the unused portion of any term. 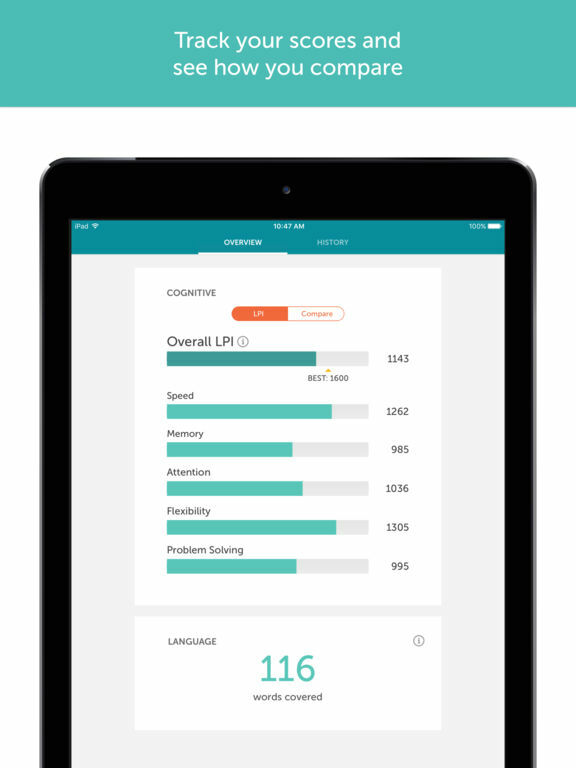 Challenge your brain's flexibility with "Ebb and Flow", a brand new game from the scientists and designers at Lumosity. And more new brain-training games are on the way soon! A little love for the iOS 5 users out there. In the relentless pursuit of perfection... more minor fixes. Feel like shouting from the rooftops when you get a new Personal Best or Top 5 score after a game? 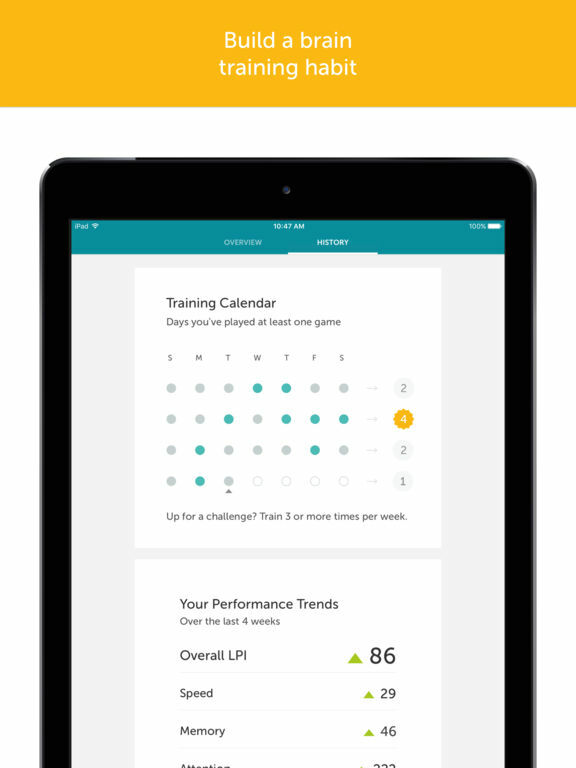 Now you can share your brain training progress or challenge a friend to beat your personal best. Trick or Treat! We cleaned out some of those cobwebs. There are more treats than tricks in this release. Hold on to your hats...we've got 2 new games for you! 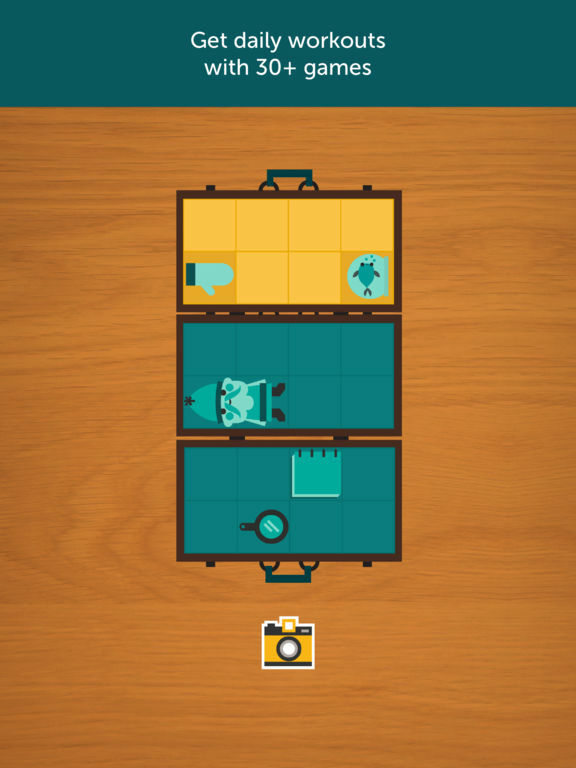 • 'Speed Pack' trains your ability to visualize objects as you pack that last item into an already filled suitcase. 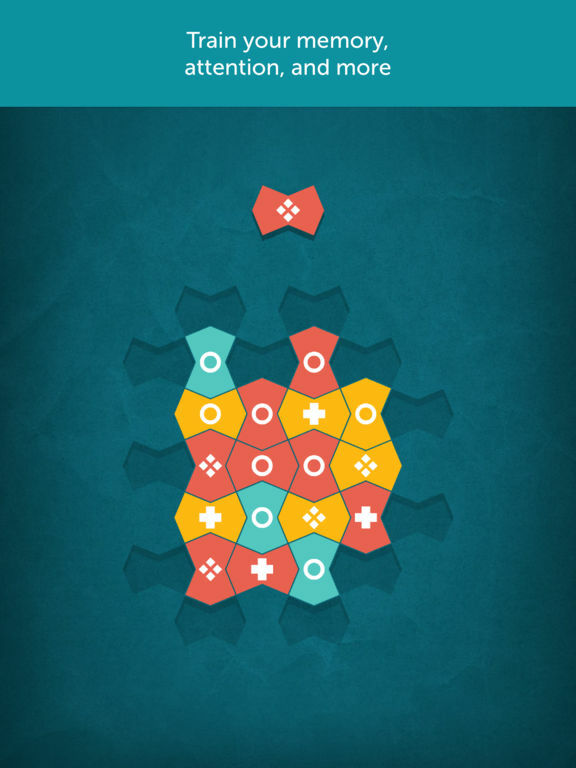 This game is based on a task called Thurstone's Punched Holes which helps you better imagine how objects in the world can fit together and interact. • 'Raindrops' challenges your arithmetic skills as you solve a downpour of equations to prevent the rivers from flooding. • Sounds are back on. Hooray! Today's release lets you train your brain in style. We've been working on new, improved features and fine touches, plus a completely revamped games page with depth and motion response – all the better to train your visual attention! Great app! Helps me feel sharp. Absolute most intuitive interface. This is great. Great fun and you improve your memory, what could be better!